Dot, I’d never assume that the pay is lower just because a company is smaller! If it’s a successful organization, size doesn’t matter: They understand the fact that high-quality, professional writing (and the level of service you deliver) is about value, and doesn’t come cheap if they want to compete with their larger peers. Even a small company will gladly pay as much as a Fortune 500 if the vendor has what they need; conversely, I’ve encountered a fair number of big companies that didn’t value content, and paid surprisingly poor writing rates. Those pieces you listed are incredibly important to this company’s brand image, operations, and sales potential—they don’t want to just fill them with words. They’re actively seeking outside expertise—if it didn’t matter, they’d assign someone on staff to write them. Within a business, consumer-facing pieces are also viewed as an investment with some shelf life—the client will be using them for a decent length of time. Although this prospective company asked for your rates, I recommend using caution in how you present and negotiate them. 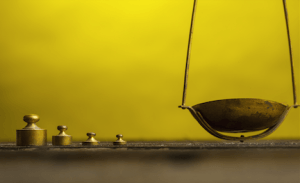 First, as you may have read on my blog and in my books, I’m not a big fan of citing hourly rates—too many problems can arise. Second, in my experience, no one outside of publishing talks in terms of per-word rates, and even per-page rates can be tricky if they’re not well defined. Ultimately, it comes down to reading the client, and determining what is going to be most persuasive. You need to communicate your #freelance rates to clients in the way they want them communicated. That may include not giving them a “rate” at all. My approach, based on the information you’ve given me, would be to request the specifications on the given projects—and tell them it’s best for both parties to define a project cost for each piece or, my favorite strategy, create an estimated range. That gives you negotiating leverage, and it gives them an incentive to be easy to work with (i.e., they can keep their costs down by minimizing back-and-forth, etc.). Finally, there’s a psychological aspect. By asking for the specs, it positions your business differently: You’re not just saying “my rate is $XYZ per hour,” which can easily be rejected without discussion, or negotiated down. From a client perspective, you’re showing that you’re a serious businessperson who is interested in understanding their problem…before you put a price tag on what it’s going to take to solve it. Want more strategic advice on pricing your freelance services? 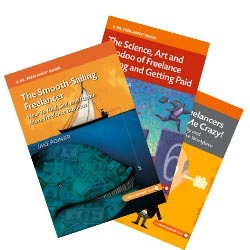 Check out Dr. Freelance’s The Science, Art and Voodoo of Freelance Pricing and Getting Paid—available in Kindle and paperback versions.